We’ve all seen or heard about horrific instances of dog bites to children. I think most of us believe it will never happen to us. Until I became a dog trainer and was doing research on children and dogs, I didn’t realize the alarming statistics of dog bites to children. In my role as a dog trainer, I work with families that have children and dogs. When I meet with families, I often discover they are unaware of the potential risks when interacting with dogs, and, what dogs are trying to communicate. Specifically, almost without exception, the children really had no idea how to read their dog’s body language or the situations in which the dogs were engaged. Depending on the child’s interpretation of the dog’s actions, they could easily put themselves in harm’s way. For example, let’s say a child sees a dog, and assumes that the dog looks “lonely”. Many times people confuse cautiousness/fear with loneliness. If the child tries to approach and pet the dog to comfort her, the dog may react with a nip to communicate “stay away.” This is especially true when a dog is hiding under an object or piece of furniture. To fill this critical gap, I searched for tools and activities that would help teach children about dog body language and safety. As a former elementary school teacher, I knew the best way to help children learn is to use an interactive activity that is fun and simple to use. Unfortunately, after months of looking, I couldn’t find anything that had these elements for learning. So, I decided to create my own learning activity called Stop, Look & Paws™. 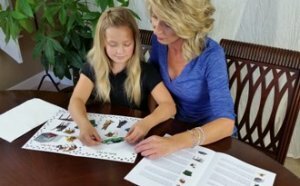 Stop, Look & Paws™ is a dog safety activity that children play by sorting stickers. Children look at images of dog stickers which either show a common situation (e.g., eating from a dog bowl), or exhibiting specific body language (e.g., tail tucked down between legs). The goal is to ask children to sort the stickers onto an activity board into either the “safe to pet” or “not safe to pet” categories. Children love the hands on part and stickers. 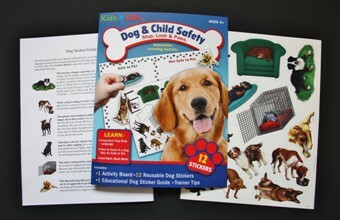 A “Dog Sticker Guide” is included to assist parents with background knowledge on each dog sticker. There is productive dialogue between the child and adult while playing the activity. This allows for understanding why the child chose the category they did, and how to correct their decision if needed. Given the stickers are reusable, they can change their mind, and play the game more than once to benefit from repetitive learning. Since 2017, when Stop, Look & Paws™ was introduced to the public, hundreds of parents have used this with overwhelmingly positive feedback. In addition, veterinarians and educators have been extremely supportive of Stop, Look & Paws™ to effectively teach dog safety to children between the ages of 4 – 10. While each comment I receive is slightly different, the message is the same: If kids can have fun while learning the all-important lessons about dog behavior and safety, there is a better chance of preventing future dog bites. My hope is that families use Stop, Look & Paws™ to educate their children before a dog bite occurs. Help your child understand that every dog is unique, and that it’s best to be thoughtful when interacting with them. I believe it’s very important to begin reducing the 4.7 million dog bites that happen each year. Educate yourself about dog body language and how dogs communicate so you can share this information with your child. I’ve written several blog posts to help you learn how to identify what your dog is communicating. Here are a several more sites to get some additional education on dog body language. The first one has a quiz so you can test your knowledge. Ask permission of the owner before petting a dog, and pet calmly. Model this for your child. Try the 3 second rule. If you pet a dog, stop after 3 seconds and pull your hand away. If the dog then moves closer to you, you can continue to pet! No hugging. Hugging is a sign of love in the human world, but not in the dog world. Don’t pursue a dog that is trying to move away. If a dog is pursuing your child, have your child stand still, tuck their arms and hands and look away until the dog moves away. Then they can walk away slowly. Great job Lesley!! I have used your sticker book that I got from you at the IACP conference a few years ago during training sessions when the kids start getting restless, and we will leave five minutes at the end to go over it together. This allows the parents to focus on the pup more while the kids are learning more about their dog, and engaged in a positive project. 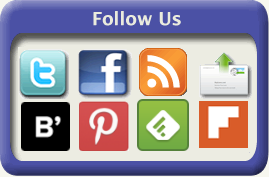 Thanks you for the feedback on how you are using Stop, Look & Paws. It was great to see you at the conference!